I love this little city. It was one of my favorite cities that we travelled to because of the relaxing environment. After so much sight-seeing in Rome, it was nice to take things slow. A huge plus, this city is small enough that you can walk to everything. It made this portion of the trip really easy to plan. The highlight of this trip? Easy, gelato! Keep reading to find out more. We arrived late in the afternoon and settled into our apartment. This was the only apartment where we had 1.5 bathrooms! Can you believe we had 1 bathroom for 6 people in all the other cities? It’s do-able, though there is a lot of holding in things and screaming at another person to get out. I currently live in a townhouse with 3 full baths, can you blame me?!? 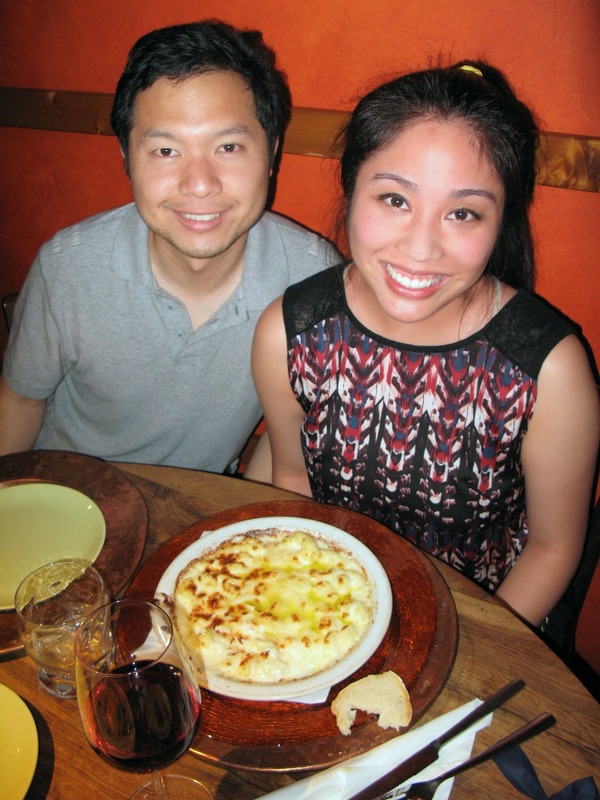 We walked around the city and looked for a restaurant called Osteria Santo Spirito, recommended by our apartment host. BEST PASTA EVAR! By the way, any place you eat at in Italy, they pretty much hate tourists. Expect longgg dinners because they make you wait for a table and you’re ignored by your waiter most times. The waitress told me there was no table, and when I asked again, she told me I could reserve a table for 2 hours later. I think she expected me to leave but I said ok. During the wait, we discovered the best gelato at La Carraia! We ate dessert before dinner! When we were brought to our table 2 hours later, we were seated in an empty upstairs eating area that could hold at least 20 people. Ugh. The pasta made up for it though! The highlight? Truffled gnocchi. Yummm! 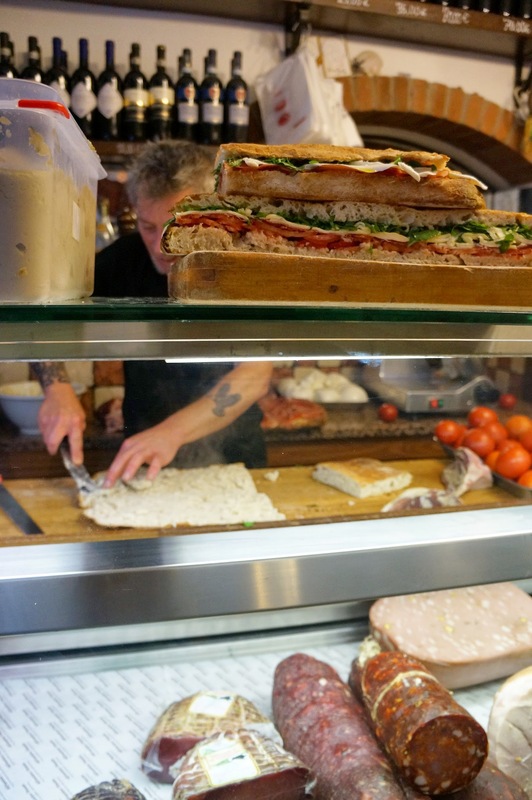 The next morning, MG and I got up early to check out All’Antico Vinaio, a well-known place for sandwiches (#1 on TripAdvisor). The sandwich master sings songs while putting together his recommendations of things that are fresh day-of. Really great place for yummy sandwiches! We set out to Pisa via train. I wasn’t excited to take an hour train ride outside of Florence, but I’m glad this decision was made. 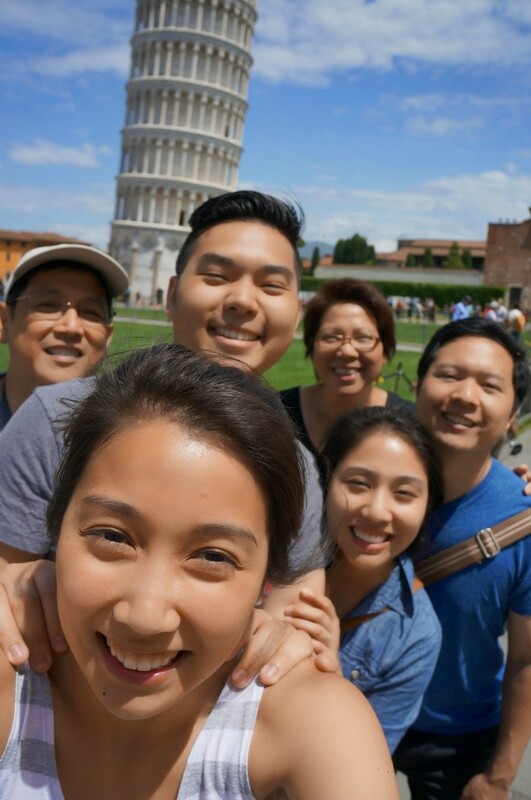 The Leaning Tower of Pisa really exceeded my expectations! Beautiful structure, and the surrounding area was so nice to lay out in the sun and enjoy some sammiches. ^^^ There’s that family selfie again! 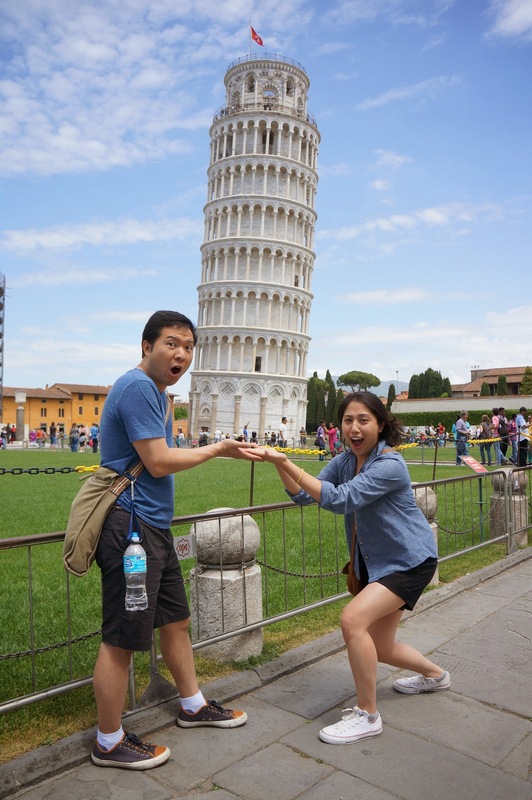 No regrets… we had to do the cheesy Pisa shots. My Pisa cakeeeee!!!! 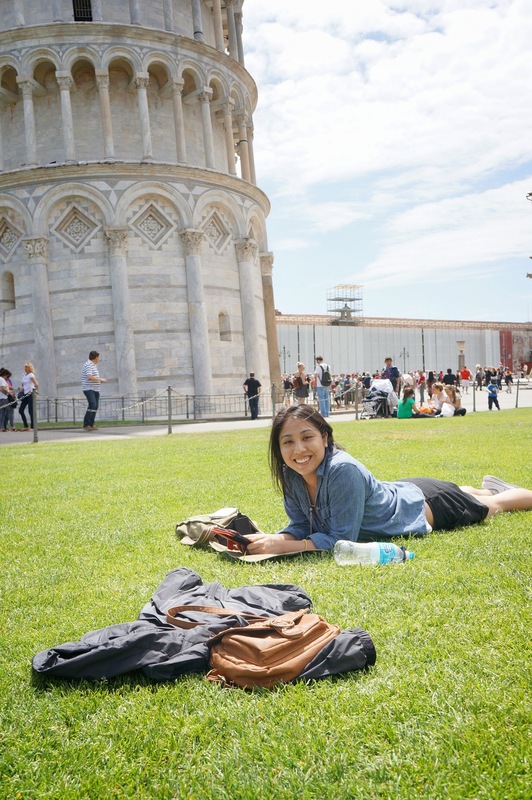 We traveled to Lucca afterwards. 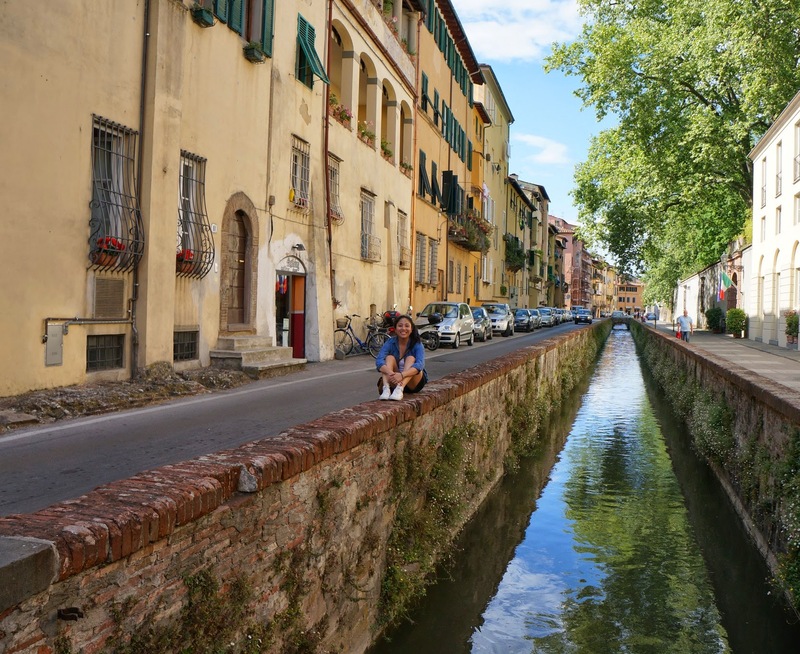 It’s a small Tuscan city with beautiful landscapes. Cute place to bike around (we regretted not doing this as we left the city)! Every setting is picture perfect! 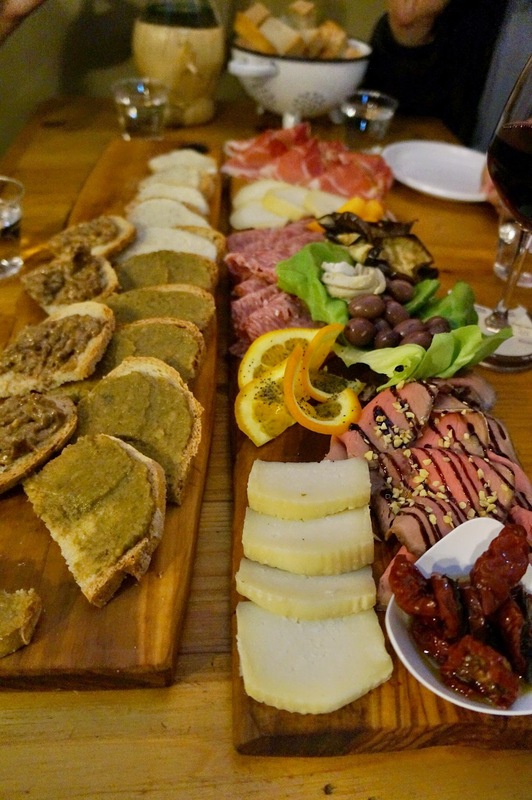 Once we got back to Florence, we went to La Prosciutteria for meat and cheese (#2 on TripAdvisor). Then we walked around Vecchio Bridge for a nighttime view. Early to bed, early to rise… for the Statue of David! 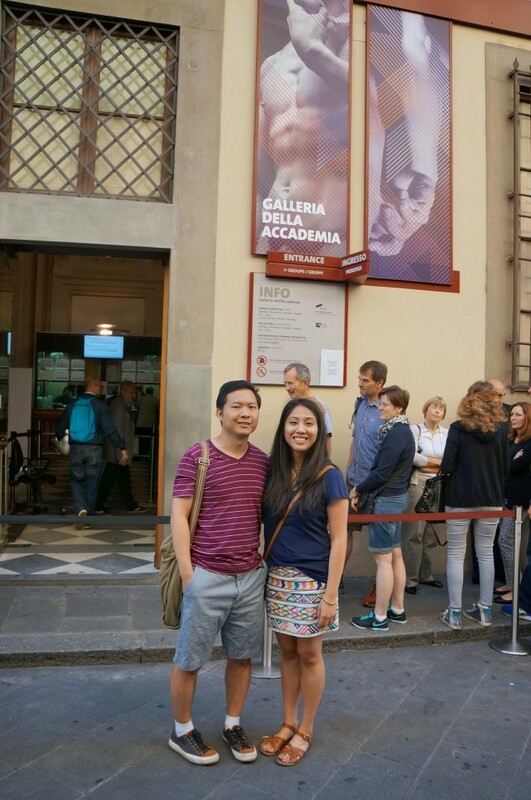 Get to the Accademia Gallery early so that the line isn’t as long. The museum allows a set number of visitors so only a few groups go in at a time. This museum is totally worth it. I was awestruck at the beauty of David. Speechless. I’m not a museum person; I’m the girl that reenacts all the statues, but wow David is a whole different form of artwork. The details of this piece is spectacular! 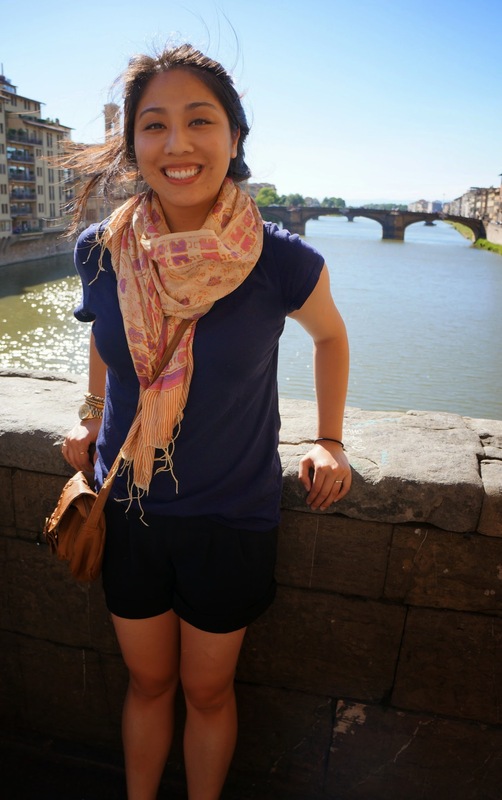 We also walked to the Florence cathedral, also known as the Duomo. 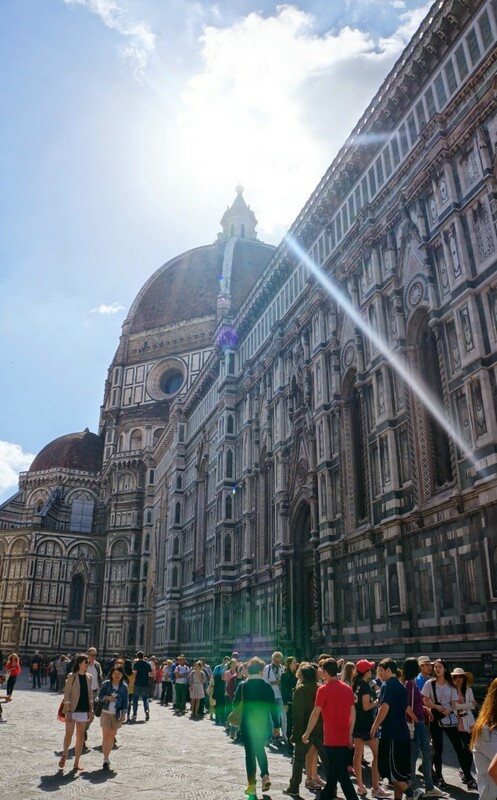 This is one of Italy’s largest cathedrals and holds the world’s largest dome. We didn’t take the tour, but we did marvel at the exterior of this church. Beautiful. We also walked the Vecchio Bridge one more time to get a day view and see the shops on the bridge. Jewelry, trinkets, and leather goods galore here! 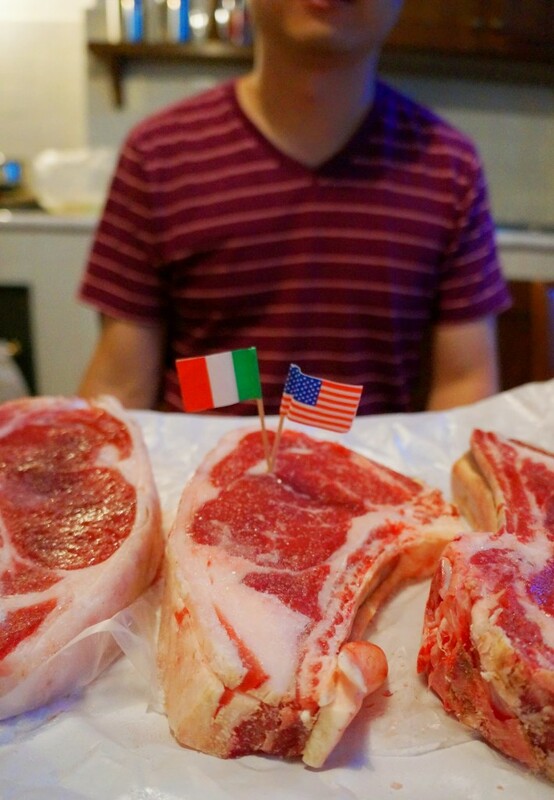 We went to a nearby local market and picked up some steaks and potatoes for dinner. How American are we? Second portion of the trip and we already needed our meat and potatoes. I don’t know what it is about Europe, but their groceries are all so flavorful. Steaks have a meaty taste. Oranges are sweet. Eggs are fresh. What’s going on here and how come we don’t have foods on par? ^^^ Another reoccurring theme during this trip – my crazy hair. I can’t tame it, and I’ve given up! 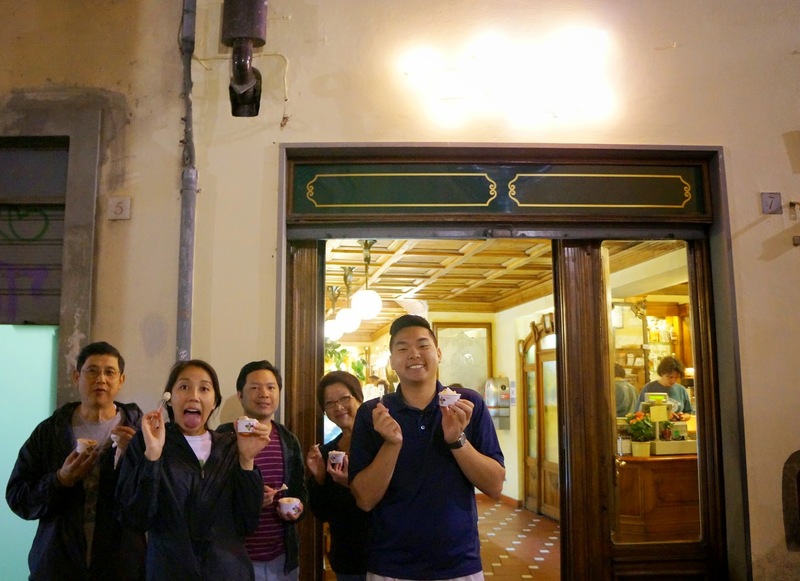 Of course, we went back out for gelato at night. This time we went to Vivoli. 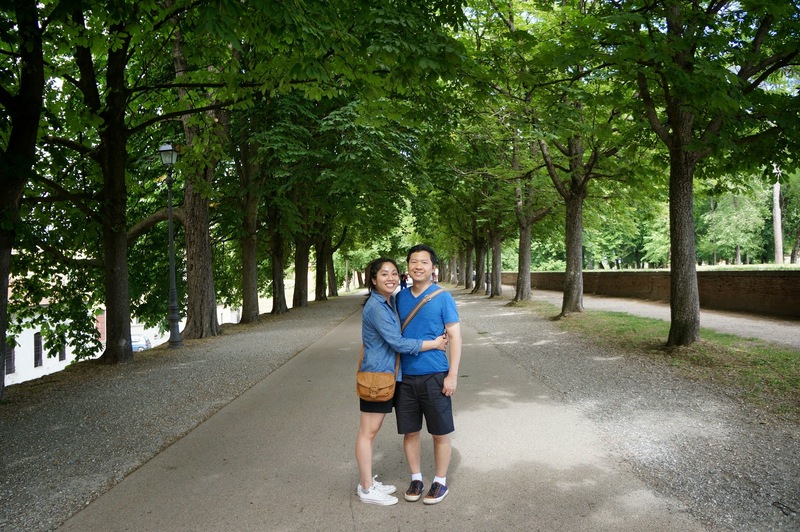 During our three day stay in Florence, we ate gelato 5 times. 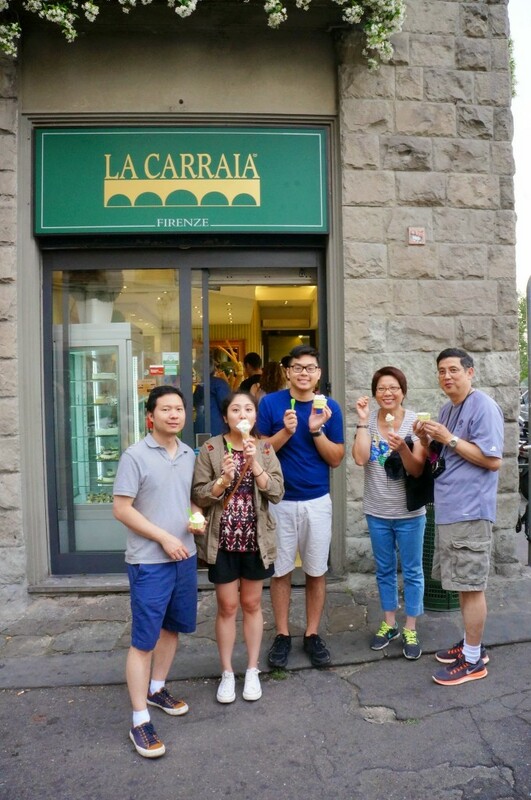 4 times at the same shop, at La Carraia. By far the best gelato of my life! 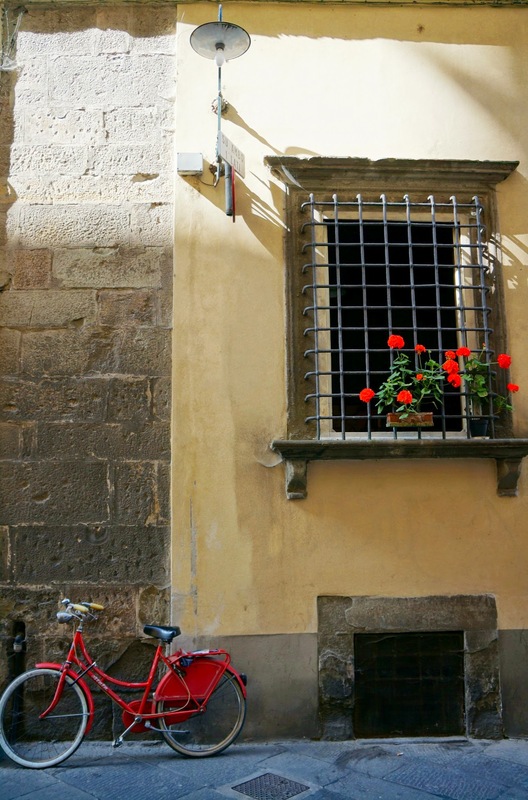 Florence, you beautiful city, you. I’ll probably be back again one day! 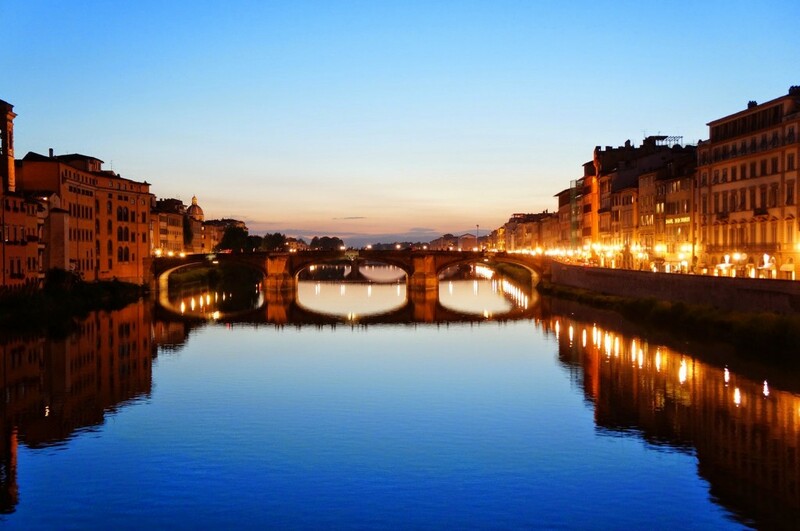 Have you been to Florence before? If so, what were your favorite things to do? If not, do you think you’ll go and what draws you there? Next post… Venice. Oh my! BTW follow me on Instagram if you want some additional pictures of my trip! This entry was posted in Life and tagged firenze, florence, gelato, italy, lucca, pisa, statue of david, vecchio. Bookmark the permalink. 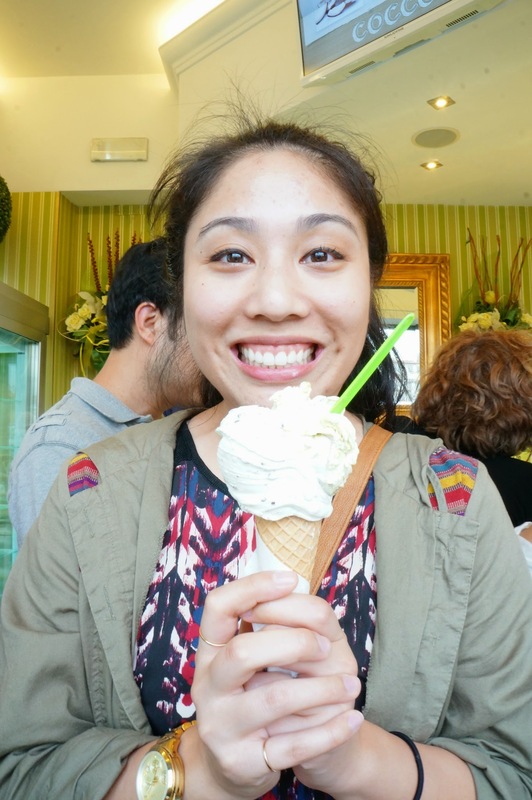 I miss the gelato so much! I can’t believe there’s such a difference between having it in Europe and in the States. I’ll have to try Dolce Neve next time I’m in ATX; thanks for the suggestion!